Meet our Building an Empire Members! We LOVE our District Bliss Community and are adding rad new members all the time! Our Members receive tons of benefits, gifts, business-building assistance, mentoring, spotlights and more! Meet our elite group of Building an Empire members below! Founded by Ariel Lewis – renowned make-up artist, hair stylist, and vegan cosmetic developer. This luxury travel team provides exceptional on-site makeup and hair services for production teams, special events, weddings, and more! They create an easy and efficient platform for clients to access highly-qualified make-up + hair artists who will make sure you look like you’re on the A-List! Extremely talented watercolor artist Ashleigh Pritchard creates hand-painted artwork with meaning – because you want something that’s a little more personal and a little less manufactured. Specializing in watercolor wedding invitations, custom watercolor maps, everyday stationery, watercolor venue paintings, and art commissions, their creations are available worldwide! Dawn Dacquisto, the founder of Confidence without Cosmetics, is a skincare specialist who believes that everyone should feel like their best selves no matter what. Take care of yourself and your body, starting with your skin! Gain Confidence, No Matter What! Creations by Sasha offers custom stationery, prints, fun mugs, wine glasses, enamel pins, adorable notepads, printables, and pretty much all things super cute! We love her motivational, upbeat, funky messages and designs. We love to start the work day off with an inspiring coffee mug and end it with a funny wine glass! Events to a T is a full-service wedding + event planning and consulting company. With more than two decades of experience orchestrating events in the Washington DC metro area, Events to a T provides custom coordination services for individuals, groups, and a broad scope of corporate, non-profit and political organizations. You started your businesses because you loved doing something cool, right? So, here’s the thing – Mabely Q founder Erin Perkins loves it a lot! From graphic design to social media to content organization, she’s your girl. With a multi-passionate professional by your side, you’ll be able to focus on whatever you love and let Mabely Q take care of the rest. Established by Sarah – Hollywood makeup artist, maker, and innovative leader. Based on the makerspace philosophy the lab provides an integrative learning environment where beauty professionals can meet to learn and collaborate. All beauty makers have access to free meetups, crew Q&A calls, a private facebook page, events & socials, and virtual courses! The Makeup Makers Lab is a community focused on mindfulness and artist development. Let’s Make this a Beautiful day! Photos from the Harty specializes in wedding, event, and lifestyle photography. This talented team has photographed weddings all over the world. Photos from the Harty tells the story of any event or wedding by capturing the tiniest, yet immensely important, moments. If you’re looking for some rad photographs that are truly youreach out! Sincerely Pete is a team of passionate planners, lovers of logistics, creatives, & designers. They are storytellers committed to creating curated and custom experiences. Sincerely Pete Events focuses on providing clients relief from the often-overwhelming process of planning because you want it to be a fun and enjoyable time for everyone! 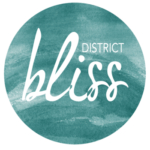 Would you like to be a Member of the district Bliss Community? We have a lot to offer! Our Sponsors are all AH-mazing and have the best stuff to offer you – with all things business-building and just so much to help you go from passion to professional! I love District Bliss! If you are looking for one of the best DC networking happy hours, please check out everything going on over at District Bliss! You will not be disappointed! The events are fun, friendly and well organized!